Modeo is a young startup launched in February 2015 which caters to individuals who wish to try their hand at furniture design. 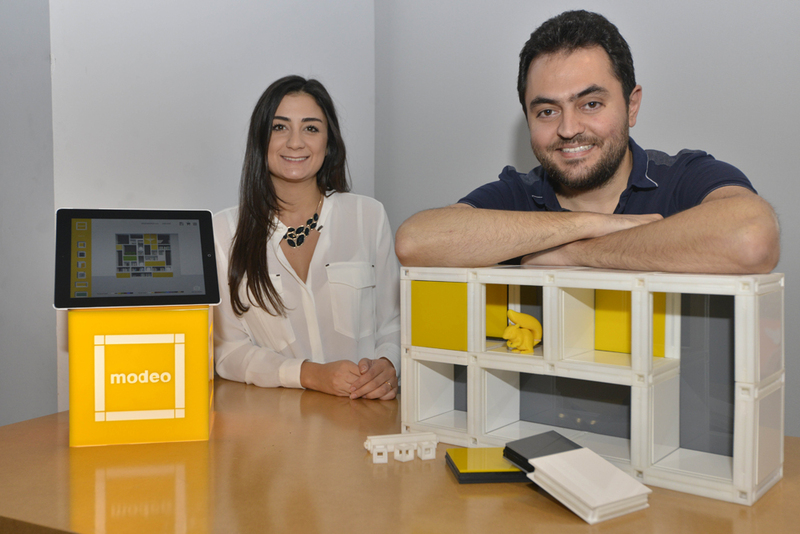 Formed by two working architects, Emile Arayes and Aline Gemayel, who were frustrated by the lack of low-budget assembly furniture, Modeo allows users to build custom plastic furniture through a mobile app interface, and uses geometric “interlocking modular parts” to assemble a range of pieces. The design can be viewed in a virtual interface before ordering, with sizing and color options, as either a 2D designed image or a 3D projection.